I don’t have words for how much I love this book. It is the kind of book which you think about first thing in the morning because it’s the last thing you were thinking about before you went to bed the night before. You almost feel as if you were living in Wyoming, in 1902, and riding with this cowboy in real life. The Virginian isn’t loud. Full of words or empty bravado. He isn’t forceful or aggressive or unjust. He is quiet. Full of reason and wisdom. He is independent and strong and brave. We never know him as anything other than the Virginian. But, we could call him by many other names: Skilled marksman. Faithful lover. Hero. I read this book for C. B. James’ Western challenge. It’s not a genre I normally pick up. But, I have a strong affinity for this life because I am a cattleman’s daughter. How well I remember going into the country with my father, being hoisted up on rough wooden fences, watching the daring of men on their horses, being sheltered from vocabulary which was not to be spoken in front of women or children. I thought that everyone’s father was just that brave. I thought everyone’s husband was just that true. I thought the good guys always win, and the Virginian reminds me that they do. It will definitely be in my top ten list for the year, and quite possibly for my life. Next Post Sunday Salon: Want To Join Us in an Atwood Read? Wow. I should add this to my little stack of western TBR books. Glad to have you along for the western read-a-long. I should have my own review up next week. I'm shooting for three westerns this month. Read the Book, I enjoyed Enger's Peace Like a River very much. This is much more of a cowboy hero book, though, more along the lines of Lonesome Dove but shorter. And, in my opinion, better. There is everything one could want: drama, romance, adventure, revenge, setting. If you're a sucker for the strong, silent type read this now! I took down my rant against Blogger because it embarrassed me to be such a big baby, but I surely was frustrated with them earlier! :)C.B. James, you definitely need to add this to your stack. Right up to the tippy top. I hope to get a few more Westerns in for the month of May, too, but if not, I plan to read even after the month is done. I have True Grit on my stack, never saw the movie, and I'd like to read some of Cormac McCarthy as a blogger suggested. This is a wonderful challenge! There's nothing nicer than knowing the story behind a person's love for a book! Wow! This must be some book. Wonderful review, Bellezza. Andi, doesn't it make you sad in a way that those days are lost to us? This book made me 'wax nostalgic' too. Hmmm, I thought the problem was resolved, but maybe not. Don't look for a personal answer from them, though. It's better to just cross one's fingers. I don't believe I've read any westerns other than All the Pretty Horses, but it's a genre I think I'd like to try. (No time this month, I'm afraid, so I didn't join the challenge.) Your praise for this one intrigues me, so I may have to look into it as a possibility. Simplerpastimes, May is an incredibly busy month! I can see why you might not have had time to join in C.B. 's challenge. As for me, I'll have to look into All The Pretty Horses as the title keeps popping up every time I read the word 'Western'. I hope you enjoy The Virginian when you get around to it. Ah, Jackie, it will certainly give you a taste of the American West. It was written in 1902, and apparently, it's the first novel to have a shoot-out in it. Although I had to think carefully where that was, because it certainly didn't stick out first and foremost. That would have been the Virginian against his enemy, Trampas, or his love for Molly, the schoolmarm. I have never read a Western. But it sounds like if I do, I should keep this one in mind! Wonderful review, Bellezza! 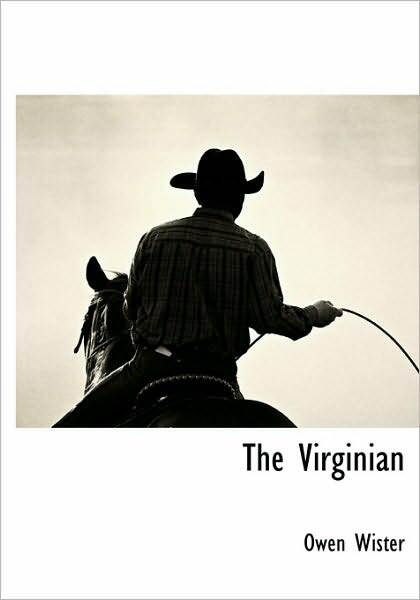 I haven't read 'The Virginian' but I have it on my 'TBR' list. It is wonderful that you grew up in a ranch and lived a the kind of life portrayed in the westerns – awesome! Out of the books in that 'western books' list, I have read Jack London's 'The Call of the Wild'. I have Cormac McCarthy's 'All the Pretty Horses' on my 'TBR' list. One of my friends has recommended Larry McMurtry's 'Lonesome Dove'. Elmore Leonard also used to write westerns. I am surprised that none of his books are there on the list. Well, Vishy, I didn't grow up on a ranch, but I had many opportunities to go out to the country with my father. Our area was much less developed than it is now; when I write that, I almost feel like a pioneer! 😉 I've read, and enjoyed, Lonesome Dove but not the others that you've mentioned here. I really want to try something by Cormac McCarthy. I think going out to the country often is as good as growing up on a ranch 🙂 Still awesome 🙂 Glad to know that you liked and enjoyed 'Lonesome Dove'. I will bump it up a bit on my 'TBR' list. My daughter loves reading about horses and the west. Do you think this would be appropriate for a twelve-year-old? Debbie, it would be absolutely appropriate. There's nothing in this book but honour and integrity, in my opnion. There's plot and action, as well as description and horses, but it doesn't read like a Western of today. That would be the only thing that might discourage a 12 year old. Then again, I read so many wonderful classics around that age. Give it a try! And, thanks for visiting. This sounds like the perfect read for me and my sweetie to read together when we go camping this year. I must say how much I've enjoyed your writing in this post! Personal and poetic… thanks Bellezza. And The Virginian sounds like a good read. I remember there's a TV series by that name. Wonder if it's based on the book. I'm still waiting for True Grit from the public library. BTW, the only Western story I've read is Elmore Leonard's short story on which the movie 3:10 to Yuma is based. I picked up True Grit from the library this week, but I could only read about the first 20 pages or so. It got so violent, so ugly so fast, that I didn't feel like finishing it. I wonder how it will strike you, Arti. Oh, I am normally quite allergic to westerns, but this review of your might just pull me in. I have read Lonesome Dove by Larry McMurtry as well as its sequel, and must admit I liked that one quite a bit. Nishitak, I read Lonesome Dove in 2006, and I still remember it. It was a wonderful book. This has less action, although some, but the focus is truly on the Virginian and his ideals. Really, I think you should try it. It's so good.